No! this is not a mistake! 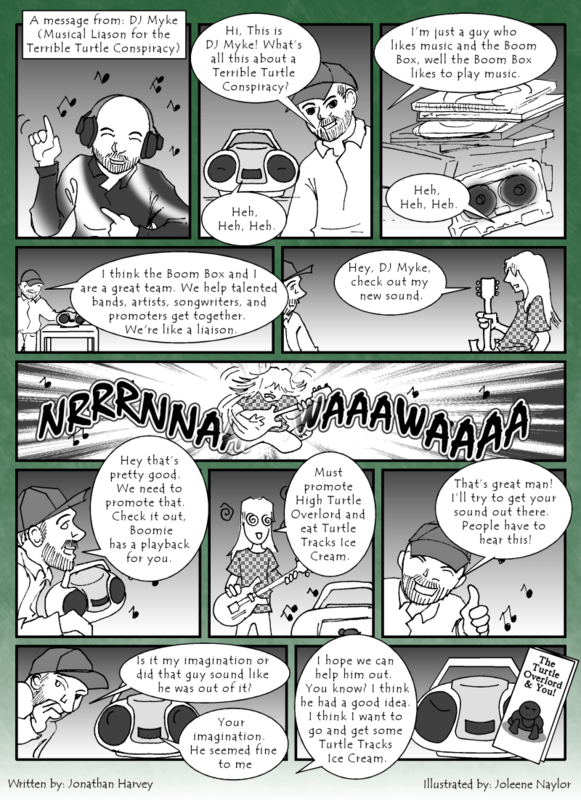 Our very own DJ Myke is caught up in this terrible, terrible.. erm, well, turtle conspiracy. You don’t believe me, do you? No, I don’t blame you. When Jonathan discovered it, we could hardly believe it ourselves, but there’s evidence – evidence I tell you! Back? Wasn’t that shocking? Though I must admit, it does look as if our dear friend DJ Myke is not so guilty as I was originally led to believe – or perhaps that is just a show! Oh the horrors! How will we ever know the truth?!? 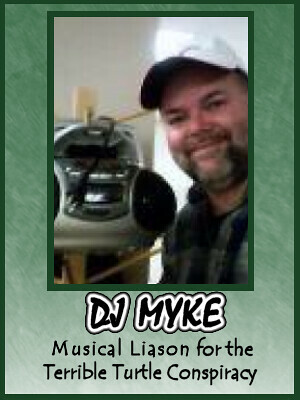 DJ Myke was the host of the weekly Poets Round Table and Spirit Wild Chronicles. He’s still one heck of a poet and writer.